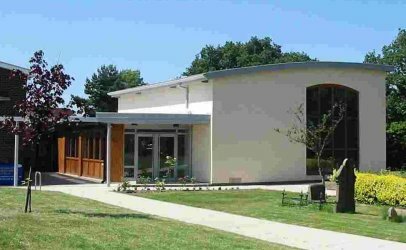 Heald Green United Reformed Church is an open and inviting local church, serving Heald Green and the surrounding areas. We are committed to becoming a place where all are welcome, where people are free to explore their spirituality, to learn more about God and our place in the world, and to grow in the Christian faith as we journey together. These are the things which are most important to us, and if they resonate with you too, then maybe you’ll find your spiritual home with us? So, if you’d like to find out more, simply use the tabs at the top of the page to discover more about us; who we are, what we do and why we do it. Enjoy your visit. We hope to welcome you in person soon. Because whoever you are and wherever you are on life’s journey, you’re welcome here. Our Faith may be 2,000 years old – but our Thinking isn’t! I hope you are doing well, I would like to know if your hall is available to rent for pre school setting. I’m running one Pre school in Burnage church hall and looking another. Hello, Thank you for your enquiry. This correspondence is better conducted less publicly than on our website. Could I suggest that you follow this link, and click on the link “Room Hire”. That will get an e-mail through to myself. There are of course, fairly stringent requirements to follow, regarding Pre-School Settings, and these need to be assessed. Our Church Premises are fairly well used at the moment, but we are interested in what you have to say.